In this activity, using images that depict earthquakes, seafloor ages, topography, and volcanoes, you will make a scientific argument that supports the Theory of Plate Tectonics. 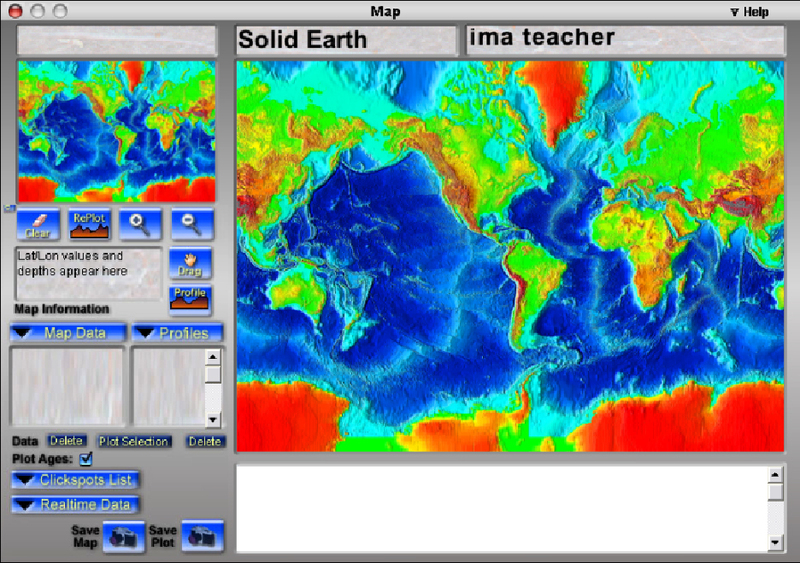 You will explore an area that contains a plate tectonic boundary and craft a paper using scientific-discourse categories. The introductory activity uses images captured from the Learning With Data CD-ROM.